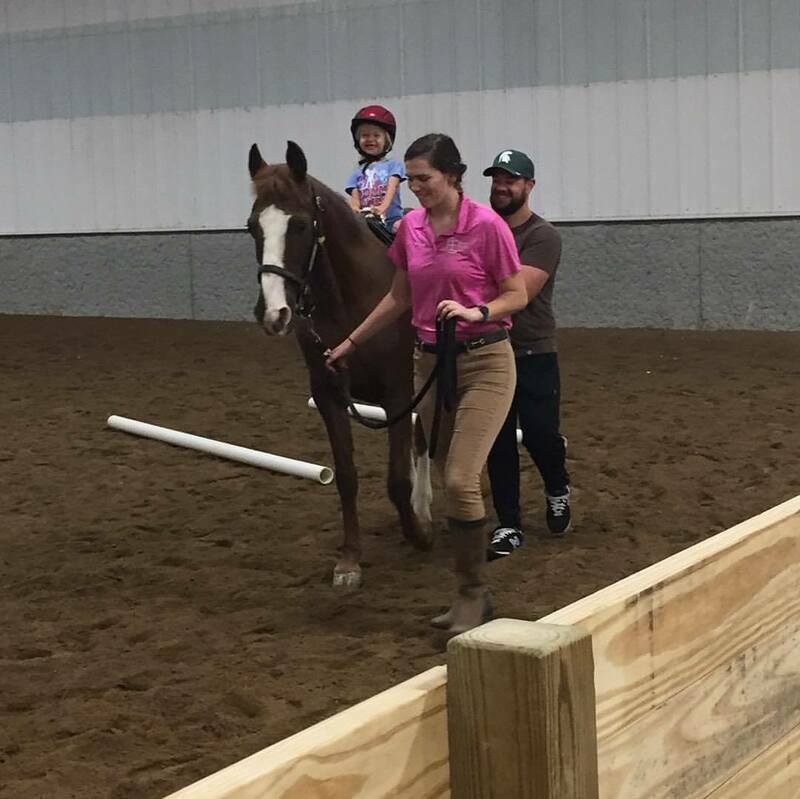 Perfect for the beginner rider to become comfortable around horses while learning to groom and lead. Group is entirely from the ground - no riding is involved. A social hour designed for the Adult Rider who knows how to ride. Scheduled at the perfect time of the day for you to meet new friends then head to lunch - or order in! 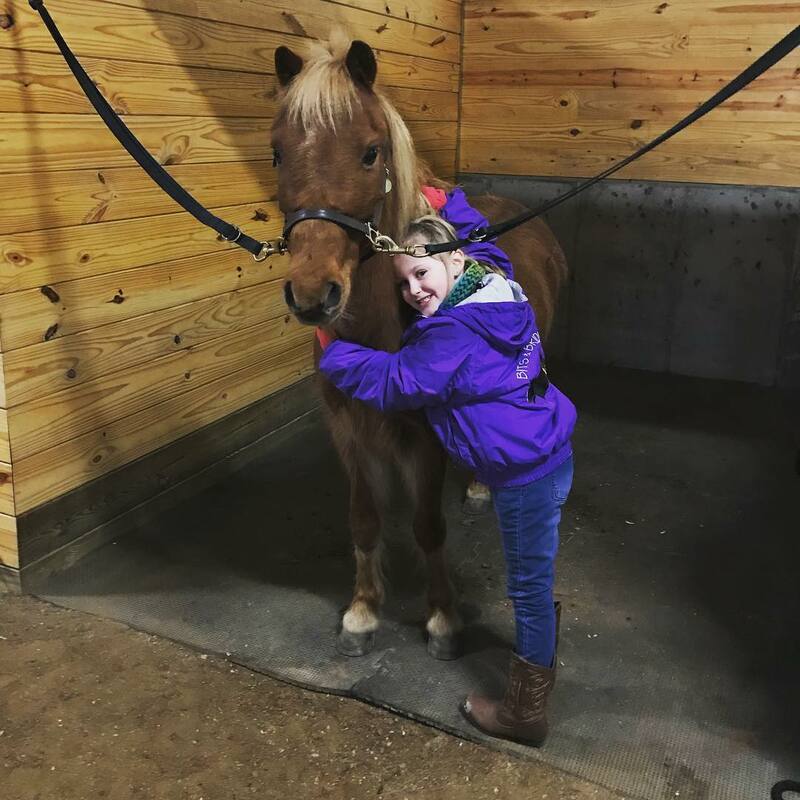 Tack, groom, ride and socialize! The classic pony ride for the 3-6 year old. 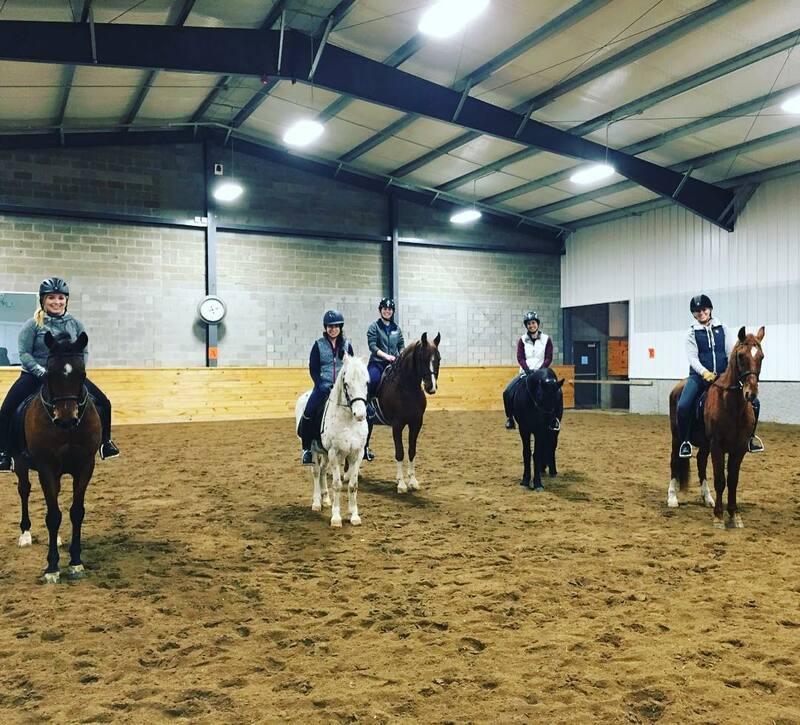 Your horse will be ready and waiting to take you around the arena as one of our Instructors leads the way! 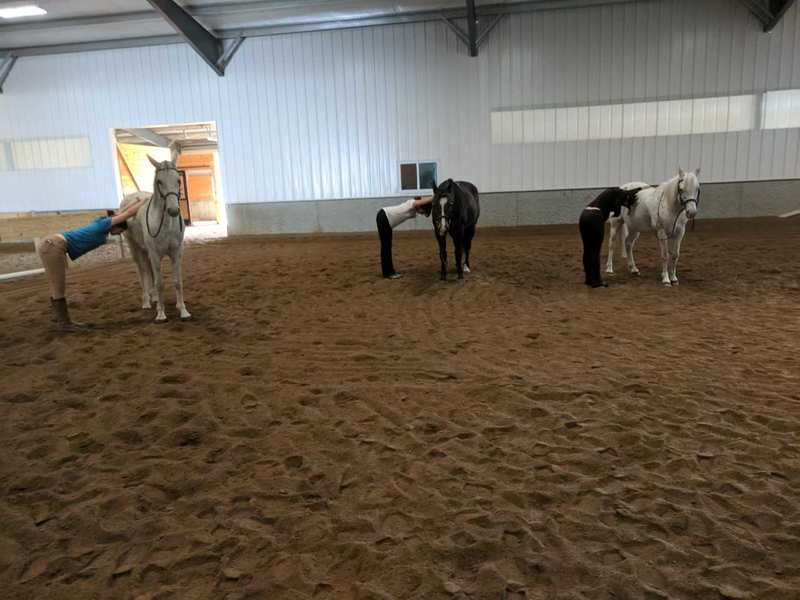 Use a horse for support while you perform basic Yoga postures. What a great way to meet other home-schoolers in your area! 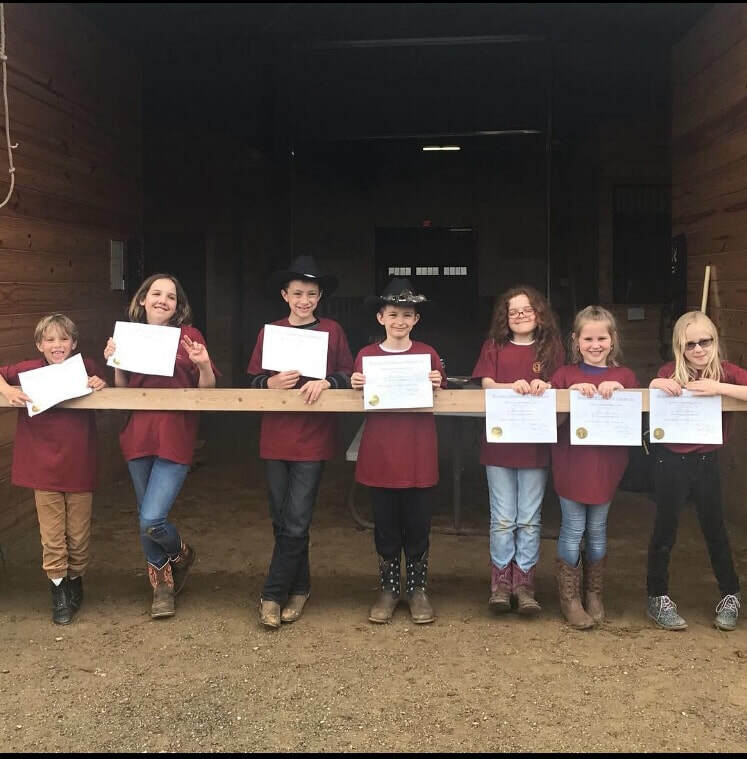 Learn a little, ride a little and make new friends at the big red barn. 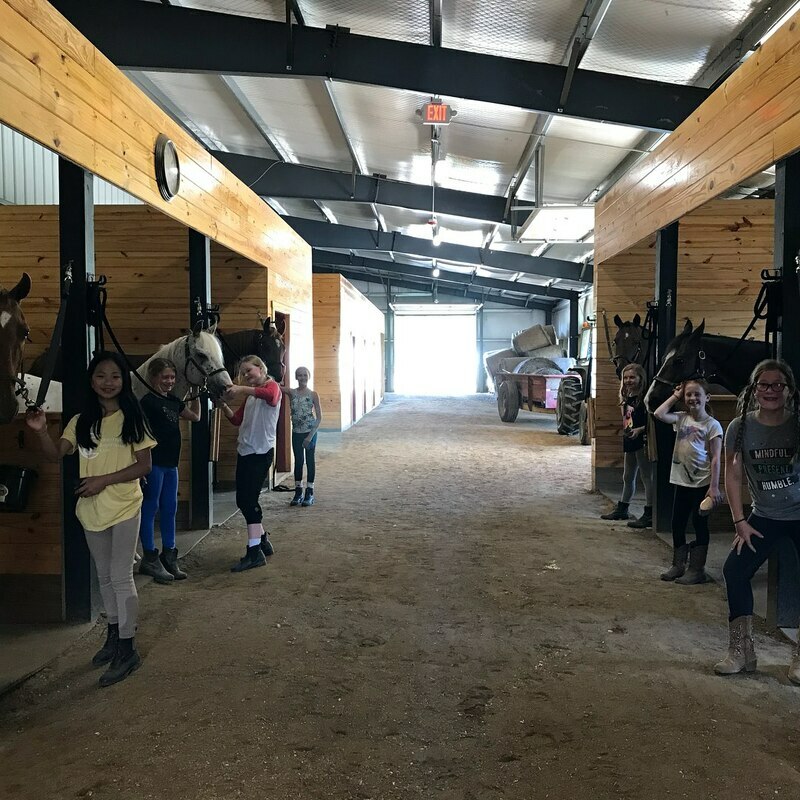 This class gives children an opportunity to wake up their senses; seeing, feeling, smelling and hearing while being in a barn and learning how to pet and brush a pony. For ages 3-5 years old.